The Walking Dead has been making big waves since 2017 with all the casting and production changes that have come our way. First, it was announced that creator Robert Kirkman was leaving the series. Then, there was the confirmation at San Diego Comic-Con in July that, after it being heavily rumored earlier in 2018, the show's star, Andrew Lincoln, would be making his exit sometime during season nine. 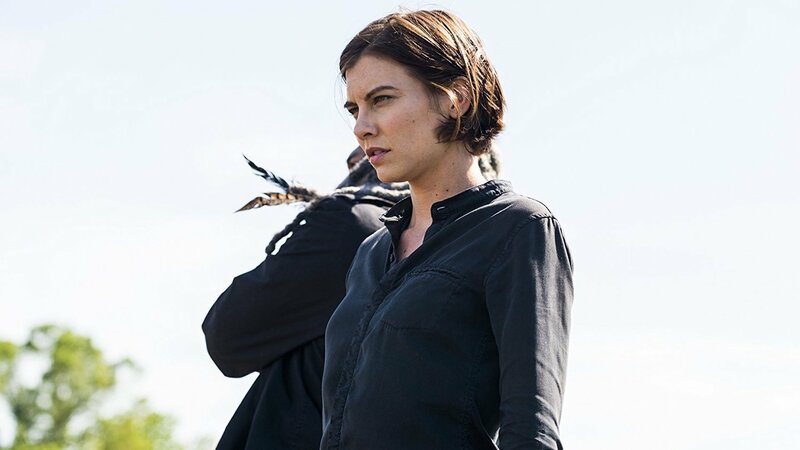 Now, even though we already know she'll be doing double duty on ABC's Whiskey Cavalier and TWD beginning in the fall, Lauren Cohan is giving us a clearer picture of her TWD character Maggie's future on the show. According to Uproxx, Cohan — and thus Maggie — is safe on TWD for now. During an interview on SiriusXM’s Andy Cohen Live on Thursday, the actor confirmed she will return to the show and that she will only appear in six episodes but crucially, she will not be killed off. "The good news is — which is good for me and good news for fans — is that my The Walking Dead story is open," Cohan told Cohen. "[Maggie's story] is not finished." It's certainly a relief to hear that Cohan's time on TWD is not coming to an end anytime soon. The announcement in February that she secured a role on Whiskey Cavalier — following reports that she wanted a substantial salary increase on par with costars Lincoln and Norman Reedus — had fans on tenterhooks for the better part of a year about what the future held for Cohan where TWD was concerned. Coupled with the rumors and eventual confirmation of Lincoln's departure, it's hard not to feel like the changes TWD is undergoing are happening at breakneck speed. Of course, fans of Cohan were undoubtedly overjoyed by this news. However, even with this news, it is clear season nine will be one that is full of changes for the cast, for the crew and for the fans.